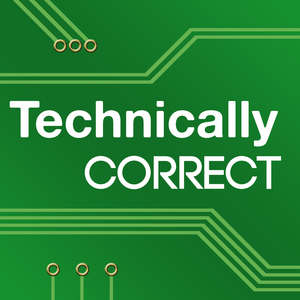 192 episodes of Technically Correct since the first episode, which aired on July 23rd, 2014. Ryan has low expectations for WWDC, Carlos has low expectations of Disney, and Larry Bird has low expectations of scooter regulatory compliance. This week: Basketball Twitter®, grilled cheese, and assigning a special counsel to french fries. 🏀. Elon Musk has voiced concerns about the way Tesla has been covered in the media recently, questioning the legitimacy of the media’s ethics and connection with the truth. Here’s some of that inconvenient reporting from the past year. We’re living in a post-facts world where the rich try to define what’s true. Maybe blindly cheering on the bro who launched his sports car into space might not have been the best idea. This week: novelty entrees from 1990s family restaurants, slacking off, and Ryan considers converting his spare bedroom into a WeWork style ad-hoc collaboration space. 🤝. When the algae blooms, sometimes you just have to do the show standing up. This week: counting the rings on your suitcase, IKEA’s new butterfly switch meatballs, and recovering sunken treasure in the San Francisco Bay. 🛴. A long time ago in a galaxy far, far away, a brand marketing and IP licensing deal was forged between a direct-to-consumer luggage startup and mouse themed mega-corporation. The UPS driver was their only hope. This week: speculation on when LeBron will get tired of all the winning, grabbing a mimosa at the multiplex, and we pour one out for the late Ford Fiesta. 🚗. More cardboard boxes, more weekends spent in a crawl space — that's the power of Home Depot. This week: Pocket Casts gets acquired for an undisclosed number of tote bags, some well placed little birdies, and the ketchup Rorschach test for food. 🏡. We wanted you to hear this straight from us before someone goes and leaks it to Bloomberg News. Okay. Ready? Opening up this wall would really brighten up your ranch style home! This week: Bird gets its wings clipped by the city, GOAT iPhone Power Rankings presented by FanDuel, and we try our hand at being eccentric billionaires — minus the billions. 💸. The American dream is alive and well — turns out it was just hiding in Waco, Texas. This week: Congress asks if Facebook is the worst house on the best block, Uber bets on e-bikes adding some curb appeal, and Apple's professional product line as the ultimate metaphorical fixer upper. 👷🏻‍♀️. Hi, Listener. We have your large Silken Splendor and a pound of fair trade media industry news to take home. Plus: Apple's rumored move away from Intel processors for the Mac, Buster Posey's new restaurant, and Backstage®️ presented by American Express. Made with love by Carlos and Ryan. 🤗. If, even as an adult, one truly never stops learning — where’s your 200GB? This week: new developments on Uber’s autonomous vehicle struggles, Facebook’s oddly consistent position on user privacy, and Carlos takes Ryan to task for irresponsibly overstating the scope and importance of Apple’s education event. Heckin’ churlish. ⚖️. In light of the recent boom of big money moving into spoken audio, we are proud to announce we have become the official podcast partner of the Washington Wizards. This week: airport wine, the health of the Mac, and an investigation into Italy’s most prized export. 🇮🇹. The greatest trick the Devil ever pulled was convincing the world there was money to be made in streaming music. This week: Ryan and Carlos have a difference of opinion about Spotify’s IPO filing, Amazon really wants you to buy those other six waffle makers you were looking at, and proven tips for becoming an eBay power seller. 🏷. "Your honor. If the State of California and City of San Francisco didn't want us Uber drivers to use bike lanes as UberX waiting areas, you shouldn't have painted them the same color as a cactus. That's entrapment." This week: spending money to make money, hobby horses, and one of your hosts forgets the teachers edition for his digital life. 📙. Struggling to break our Olympic fever, the conversation gets weird early and often; this is one of the good ones. This week: Mikey B. and the NYT failing all the way to the bank, 4K uphill skiing, Omni’s roadmap for 2018, and PepsiCo’s sparkling water ambitions run afoul of M. Bublé. 💦 . "Waiting is the hardest part." - Tom Petty, as quoted by Elon Musk. This week: space junk, Model 3 delays, fancy cameras, and Netflix pulls a Beyoncé. 🤫 .